A diverse group of Americans, many wearing the red MAGA hat so reviled by the Left, packed the Globe Theatre in downtown Los Angeles on Jan. 20 for the first major BLEXIT gathering. 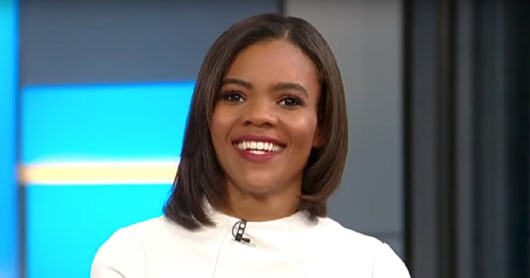 It is a movement started by conservative activist Candace Owens which aims to “free” black people from the Democratic Party. The event also included speeches by conservative mainstays Ann Coulter, Charlie Kirk, Lary Elder and David Harris Jr.
Verdell said she was a Democrat her whole life and voted for President Barack Obama twice, but walked away from the Democratic Party in 2015. “I truly believe that the black and Latino community is going to save America,” Owens told the crowd.